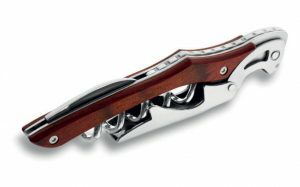 Made of exotic wood and metal processing to ensure quality in performance, look and feel. A special metal hardening process using vapor to impart a unique finish and make it posssible to engrave on the metal. Great presentation for special business gifts or favors for high-end meetings or events. Cocobolo is an exotic wood. 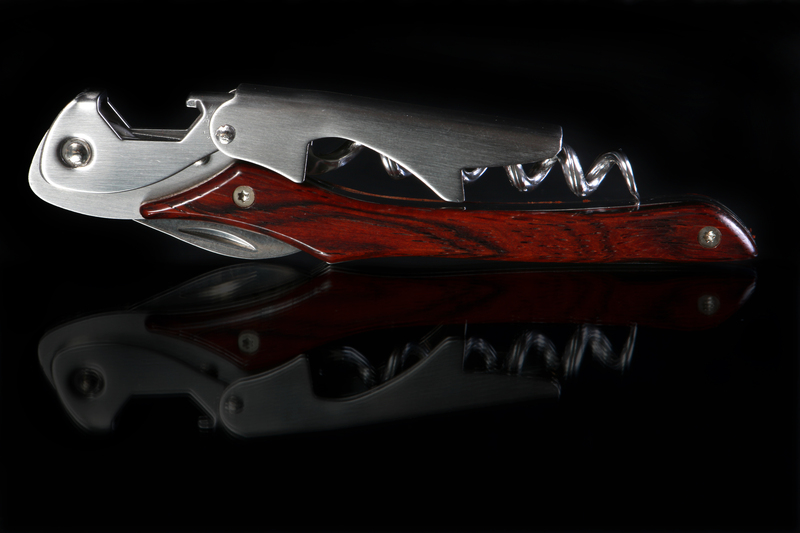 Farfalli made these corkscrews for us in Italy. 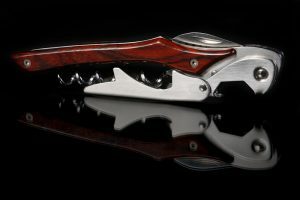 A high quality corkscrew made with a special vapor processing of stainless steel. This items is engraved on the double knuckle of the pull lever. Quality in products for our clients gifts and events. 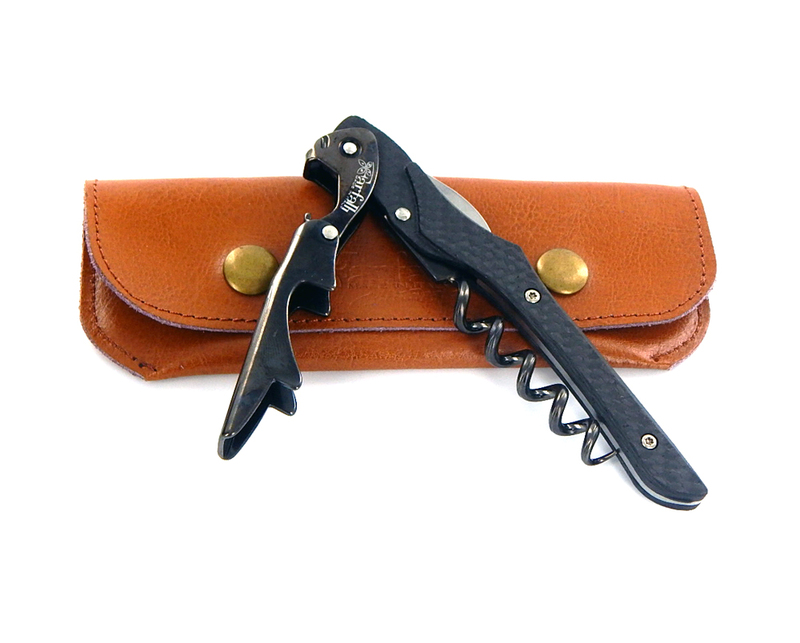 Wine Gift BoxesWine gift Boxes are available in 2 bottle and 1 bottle styles. All are made of hardwood-walnut and cherry and are constructed with dowels and not metal fasteners. Wood are all solid woods used in construction. CorkscrewsQuality corkscrews that are exotic and hard to find. 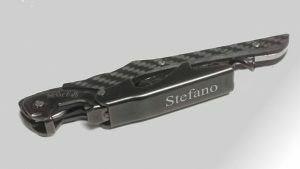 Carbon Fiber is the premier corkscrew, followed by one make of Cocobolo exotic wood and a promotional corkscrew. All can be engraved. Tile Wall Mosaic MuralMade from a sublimation process that imbeds and image (B/W or Colored) or text into the stone permanently. This is a heat and pressure process with special inks/dyes. Great for a vertical wall application or even the front of a reception desk. If you are thinking of a custom home or remodel application it would be possible to use in a shower enclosure.